What is the Difference Between Rising Damp and Penetrating Damp? Dampness is one of the most common issues that property owners face, particularly in older properties. The problem is that dampness can arise from a variety of different sources, which can cause issues when trying to put an end to it. Often, people end up (temporarily) treating the symptoms of the dampness, as opposed to getting to the root cause of it and finding an appropriate solution. This is largely down to home owners being unaware of the differences between rising damp and penetrating damp; both of which are not to be underestimated. Excessive moisture in buildings can lead to a whole host of issues such as the deterioration of the structural integrity of your home, decorative spoiling, plaster staining and mould – the latter of which can cause some serious health problems if left unchecked. Rising damp is caused by water from the ground, ascending through the walls and floor, which is not being stopped by any damp proof course. This is typically found in older buildings without a damp proof course, or where it has been bridged over time. Rising Damp has damp stains rising to about 1m to 1.5m high and at the top is usually a layer of nitrate salts on the surface. Penetrating damp enters the wall above the damp proof course. This is typically broken down into two different categories: Vertical Penetration and Lateral Penetration. Lateral Penetration – A good example of lateral penetration dampness is on the walls in a basement. This is due to the fact that the walls are built against the subterranean ground outside, allowing dampness within the soil to penetrate them. Vertical Penetration – Ultimately, most cases of vertical penetration dampness is due to poor building maintenance or defects in the structural integrity of the building. So, things like blocked or defective water draining pipes or cracks that have formed in the walls over time can lead to higher levels of concentrated water seeping inside. If you’re concerned about damp in your home and would like to resolve the issue before it gets any worse, then you should get in contact with Damp Detectives today! Using an effective combination of specialist training and the latest damp surveying equipment, we will be able to find the root cause of any damp problem and offer you the most appropriate solution. Dampness on walls is an incredibly common problem which can often affect all types of properties. That being said, not every damp problem is the same and can be caused by a variety of issues. Dampness can be infuriating, particularly when it comes to your family home – That, and in many cases it can be very difficult to find the root cause of the problem, which is why it is important to hire a professional if you are serious about finding a definitive resolution. Not only does damp cause problems for the structural integrity of your home, but it can also lead to a number of serious health risks as well. Exposure to damp and mould can lead to eye & skin irritation, nasal stiffness and respiratory problems such as coughing, wheezing & throat irritation – and in some cases, serious lung infections. Don’t fall prey to the ‘quick and easy fixes’, and you certainly shouldn’t try to resolve the issue on your own. When it comes to protecting your home and the health of you and your family, you can’t take any chances! So how can you stop the damp for good? Bricks are designed to absorb a small amount of rainwater, with the intention of it evaporating into the air during dry periods. However, if exposed to excessive amounts of concentrated water, for example a rainwater downpipe leaking through a wall, or cracks surrounding window frames; there will be far too much penetration. Typically, in cases such as this, most people will turn to hiring a builder in an attempt to stop the water from penetrating the walls. The problem with this, is that not only will the water likely be coming in from multiple sources, but using something such as a tanking solution to prevent water penetration is invariably going to trap the water inside the wall itself. The tanking solution may well mask the damp, though if water is still entering the walls from other, unknown sources, it will be causing more problems that you will not be aware of – meaning, things can only get worse! The best way to resolve this is to call Damp Detectives. With an effective combination of specialist training and the latest damp surveying equipment, we can identify exactly where the damp is coming from. That’s not to say that all builders are unqualified to identify and solve the source of a damp problem. However at Damp Detectives, we specialise in locating moisture and have been doing so for over 20 years. So, once we are able to fix the source/s of the problem, the wall will dry and the damp will not return. It really is as simple as that. Before the colder and wetter weather moves in for the winter, it may be the time to address any suspected damp problems in your home and look for signs of mould accumulating. There are many different types of toxic mould which can appear in damp households which also come in a variety of colours such as blue, black, white, orange and green. These can vary in harmfulness and it can be difficult to determine which strain of mould you have in your home and whether or not you should be worried. Ideally, as soon as mould is detected, this should be dealt with immediately so that it does not spread causing an adverse effect on your health. Poor ventilation is often a common problem as well as moisture in the air causing condensation. Many normal household tasks such as cleaning or simply leaving wet washing hanging around can produce a damp environment when mould can grow. Moulds then produce allergens which are substances which can cause an allergic reaction simply by touching the mould spores or inhaling spores. Typical signs are red eyes, a runny nose and a skin rash. The most common types of mould that grow in the home are the black and green varieties which can also cause pneumonia, sinus infections and inflammation of the lungs for the vulnerable. If you find some and are not sure which type it is, it may be a good idea to get a professional mould inspector in to look at it to ensure that you and your family are living in a safe environment. You should not disturb the area as touching it could cause a lot of harmful spores to be released in the air which in turn will negatively affect you and those who share your home. For sensitive people such as babies and children, the elderly and people with existing eczema, as well as those with respiratory problems and those with an already weakened immune system such as those who are undergoing chemotherapy, damp and mould should be avoided as much as possible. In severe cases, damp and mould can also cause severe neurological symptoms which affect mental capacity and alter our physiological makeup. Some of the neurological symptoms of the ingestion of mycotoxins from mould include confusion, dizziness, a ‘foggy’ brain, hallucinations, seizures and trembling. So to protect the valuable health of your family from the harmful effects of mould and damp in your household, it is better to identify the problem early and eradicate the causes quickly. This can be resolved either by yourself if the problem is very small, but by also inviting a professional damp and mould inspector in before the problem becomes too large to handle and your health and that of your family begins to suffer. There are few things as disgusting, as walking downstairs in the middle of the night, crossing the kitchen and then standing on a slug with your bare foot. Your skin is probably crawling at the thought of it, and with good reason too, as slugs are a very unfortunate looking creatures! That and we don’t like intruders in our homes at the best of times. But it’s not just the fact that the slugs are essentially trespassing on our property that upsets us, it’s the disgusting, slimy trail that they leave all over the carpet! Whenever there is heavy rain, that tends to be when slugs do the most breaking and entering. So, why is that, and what can we do to prevent it? A question which we are often asked, and one that we will clear up for you in this article. Only between 5 and 10% of slugs are above ground, the rest are underground where there is a lot of moisture. This is due to their nature, and how it is far easier for them to travel over damp surfaces. That’s why they constantly secrete slime, so that they can move with greater ease. 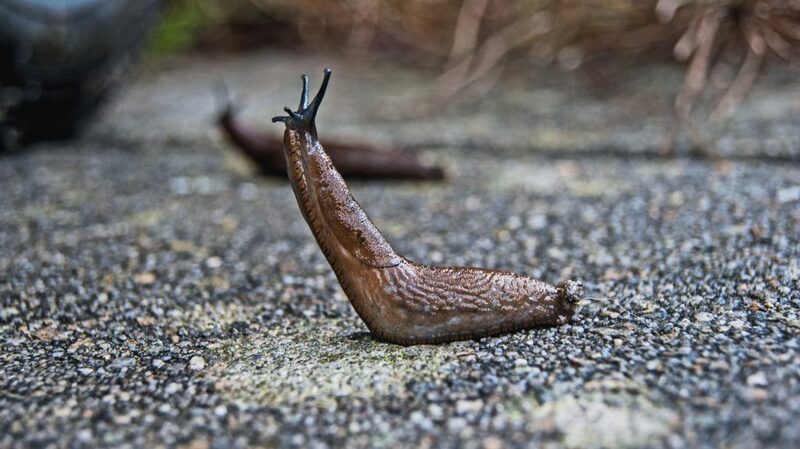 And slugs aren’t as dumb as they look: in fact, once they find a nice and damp area, they tell all of their friends. Blocking holes has little effect, particularly when you consider that they can stretch up to 20 times their normal length, enabling them to squeeze through the smallest holes – there are alternatives. There are many ways of killing slugs, but few effective ways of actually preventing them from coming into your house. For example, laying down a line of salt by your door is an effective way of making a huge mess and killing them in a cruel and painful way. There is however, a cleaner and easier alternative. The most efficient way of stopping slugs, is to find out where the damp is coming from in your kitchen or lounge and stopping it. Damp Detectives will be able to quickly find the source of the damp and offer the most appropriate solution for you. Once your house starts to dry out, the slugs will go elsewhere. It really is as simple as that. Case Study; Finding the cause of recurring asthma attacks in the home. Asthma attacks that regularly occur in the home are often linked to mould, but is there a bigger danger that many should be looking out for? Damp detectives were recently called out to a home where a young girl was suffering from life threatening asthma and was having regular attacks. The girl and her mother were moved there by the Local Housing Authority, who thought they were moving them into an old fashioned property that was in good condition. The mother always kept the house spotless but the daughter would have attacks regularly in the home and she had to move out. The Local Housing Authority thought the problem was insufficient ventilation so then fitted a Positive Pressure Fan in the loft to push fire and debris in the air towards and exhaust point, in an effort to improve the situation. When the girl returned to the house with her mother, what happened next stunned them all. Within minutes of entering the house the daughter had such a bad asthma attack she was rushed to hospital for emergency treatment. As typically seen in cases like this, everything under the sun was blamed as the cause of this horrific attack that the daughter faced, but the Mother wasn’t convinced of any of them. She turned to a company that she knew would provide independent advice with a hope of finding exactly what was causing such a poor existence for her child. That is where Damp Detectives where brought in. 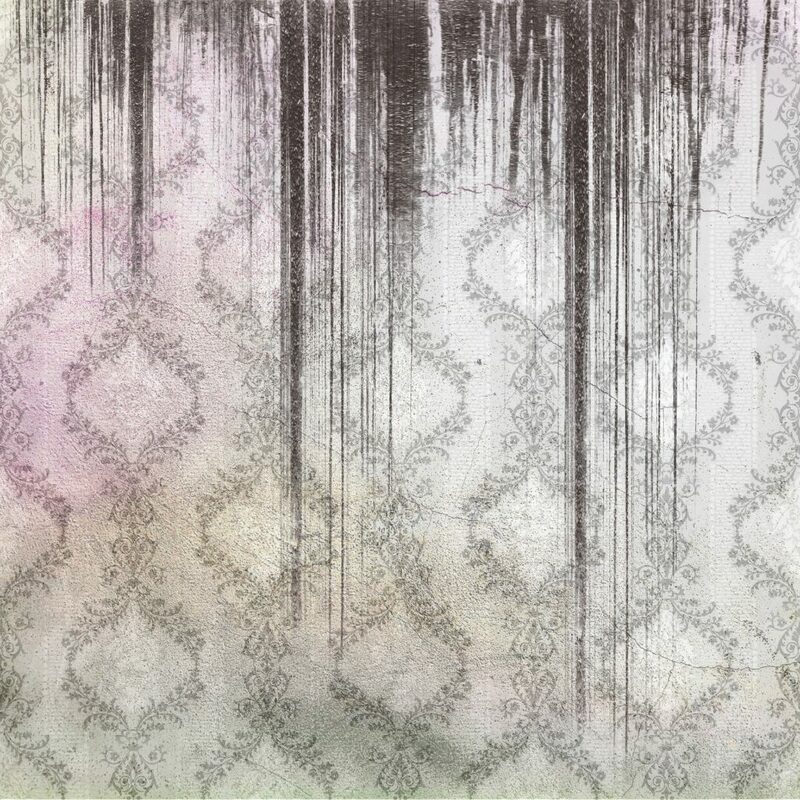 The first thing that Damp Detectives noticed during the inspection was that the loft was covered in a fine film of soot. The mother had also told the Local Housing Association that she had to sweep up a fine film of soot in the lounge and kitchen everyday. This strange appearance of soot was explained by a Local Housing Official as the results of passing diesel trains. Damp Detectives considered this to be incorrect as the track nearby has a mix of diesel and electric trains, 300m down wind of the home and was the only home on the street that was affected by soot. They decided to investigate further. During the investigation it was found that the chimneys in the lounge, bedrooms and kitchen were sealed off, however, the kitchen chimney was placed behind the kitchen cabinets and not closed off. From all of this Damp Detectives could clearly see that the introduction of a Positive Pressure Fan was at best counter productive, and at worst positively dangerous. The fan wasn’t pulling any debris from inside the house out, it was instead it was drawing air into the house from the soot laden loft and filling the house with the dangerous soot and particles that were then causing the daughter to suffer from these horrendous attacks. A sensor in the daughter’s (now empty) bedroom showed VOC levels going off the scale when it was windy, and the readout below showed that the level of VOCs hit over 1200 when the safe limit is 300. From this experience, Damp Detectives believe that damp and mould aren’t the only causes of asthma in the home, soot and VOCs are also likely to be a strong contributing factor in properties that are not properly ventilated. If you or a family member are suffering from frequent asthma attacks in the home and you are struggling to find the cause, contact your local Damp Detective for an independent damp survey. We may just be able to locate the issue at the source.